Recent Eurostat data (2015) on pupil-teacher ratios indicate that locally, for primary education, there is one teacher for every 14 pupils, while the figure is even lower in secondary schools, where it averages at approximately one teacher for every eight students. Currently four deans, out of a total of 14 at the University of Malta, hold a first degree from the Faculty of Education, which this year is celebrating its 40th anniversary. They follow in the footsteps of many other prominent scholars and professionals who have graduated from this faculty, which has produced thousands of teachers, headteachers, educational leaders, policy makers and other educators over the years. In 1978 the University established the Faculty of Education to offer courses in initial teacher education. Teacher preparation was previously offered at the St Michael’s and Mater Admirabilis training colleges and, subsequently, at the Malta College of Education. The early years of the faculty were mainly characterised by its mission to establish itself locally and also to form Maltese academics who specialised in the field of education. It immediately developed a practice-based model for its Bachelor of Education course, wherein University students were engaged directly in schools. This model has been retained over the years, and till this very day, in line with the best-established models of teacher education worldwide, school-based practice flanks theory in most of the faculty’s courses. Throughout its 40-year history, the faculty has developed a series of courses, both at undergraduate and postgraduate level, which go beyond initial teacher education, thereby offering opportunities for advanced study to its own graduates and to those of other faculties. The number of students who read for research-based Masters and PhDs has risen significantly recently, and interest from foreign students to pursue courses at the faculty is also increasing. Several members of staff of the faculty have achieved local and international recognition both through academic publications in their respective fields and by means of their outreach initiatives. These include papers and books published by prestigious international publishing houses, with a significant number of members of staff who lecture regularly at universities overseas and who have been invited as keynote speakers at high-level meetings and conferences. Several have entered partnerships with other overseas colleagues and have initiated and activated Erasmus exchange programmes which enable local students to complete part of their studies in foreign countries, while students of different nationalities attend courses held locally. Contributions have been made in various fields, from the sciences to the arts, also through the writing of textbooks for schools, engagement in the community and even through literary works that have achieved recognition locally. Staff members have also been regularly involved in advisory and consultancy work – to ministries and agencies – to support educational development locally, regionally and internationally. Today the faculty produces its own peer-reviewed journals, regularly organises public seminars and runs programmes on the media. It collaborates with other faculties at the University, both as far as lecturing and research are concerned, and with other local institutions – most notably with the Malta College of Arts, Science and Technology in the area of early childhood education. Most importantly, however, over the years the faculty has invested heavily in its initial teacher education programmes, to the extent that today practically all fully-qualified teachers in local schools, including the State and non-State sectors, are alumni of the faculty. This is no mean feat. For example, from 2010 to date almost 1,800 students have graduated as teachers, and there are currently 272 students preparing to join the profession. Eurostat data for 2015 on pupil-teacher ratios indicate that locally, for primary education, there is one teacher for every 14 pupils, while the figure is even lower in secondary schools, where it averages at approximately one teacher for every eight students. These figures compare favourably with other EU Member States. 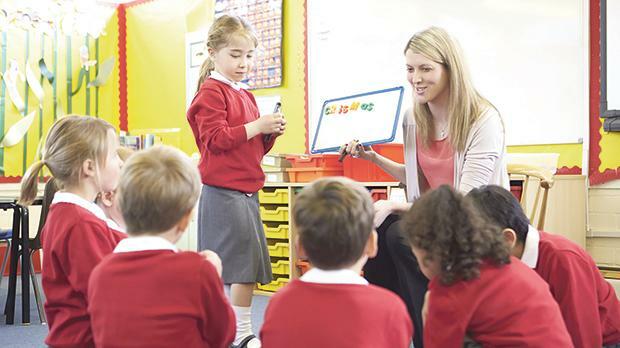 While acknowledging that they also include a percentage of supply teachers, in local State schools this does not exceed seven per cent of the teaching population. Clearly, in terms of numbers, the faculty has been supplying the country with qualified educators who are well prepared in terms of knowledge, skills, attitudes and values in order to be of service to their learners and to the community. A tracer study carried out by Jobs Plus in 2014 showed that the faculty’s graduates are among those who readily find employment, in most cases in the area in which they specialised during the course of their studies. Prof. Sandro Caruana is dean of the University of Malta’s Faculty of Education.